The next Foundation board meeting will be held on Tuesday, July 7, 2015 at 7 p.m. in the school library. Check out the photos and announcements. Notes from the July 8, 2014 Foundation Board Meeting: The board was generous enough to approve a gift of $25,000.00 to be used toward classroom supplies. Additionally the board allocated $2,000.00 to be used toward classroom incentives to be requested through the superintendent's office. Is there someone that you would like to remember with a memorial? Please make a contribution and let us know. Your memorial will be added to the list. 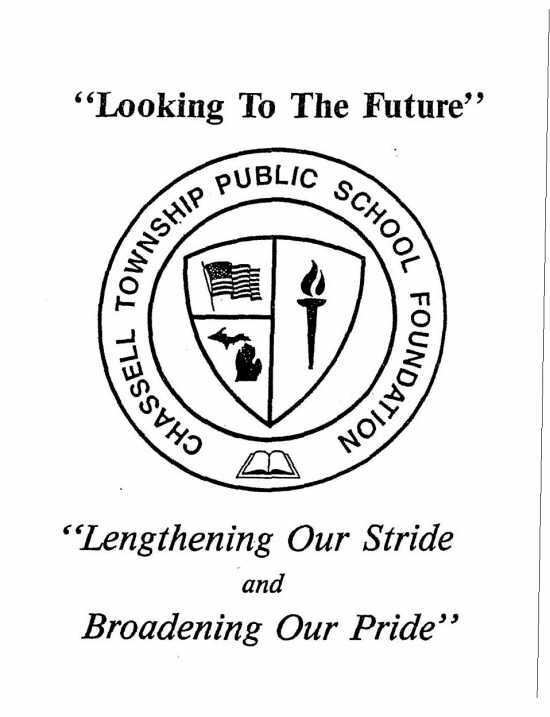 Thank you for considering the Chassell Township Public School Foundation.